The breakout hit this year, NEW GIRL brings together a “modern family” of sorts…three guys and a girl and her best friend…in a quirky, fun and sincere mélange of personalities and style. …and Schmidt [Max Greenfield]…hustling young professional with OCD & a well-defined physique, who considers himself a gift to women, and is often politically incorrect! Cece [Hannah Simone], a model, is Jess’s BFF since childhood and is frequently at the loft. 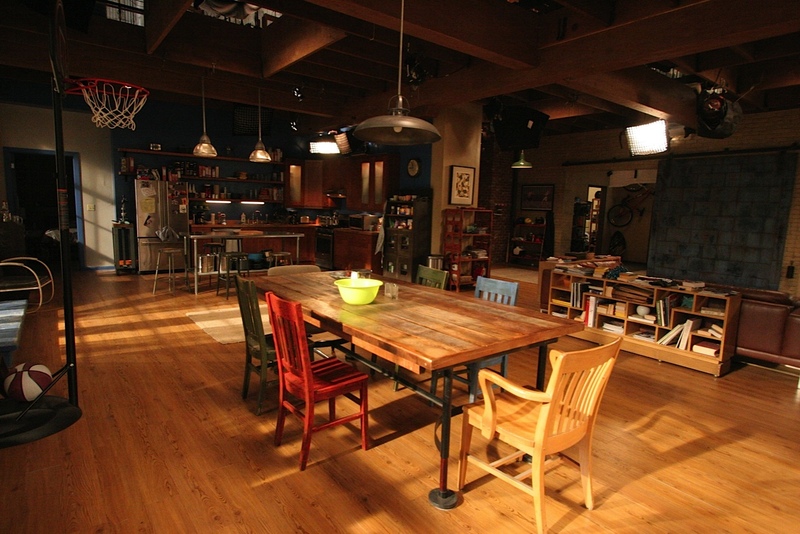 Set Decorator Jane Shirkes SDSA and Production Designer Michael Whetstone took over from the pilot’s team, Ron Reiss and Jefferson Sage, to bring the series to life and to have the sets evolve with the storyline. Since there has been so much viewer interest in the series and the sets, Shirkes generously shares with us resources and insider notes! 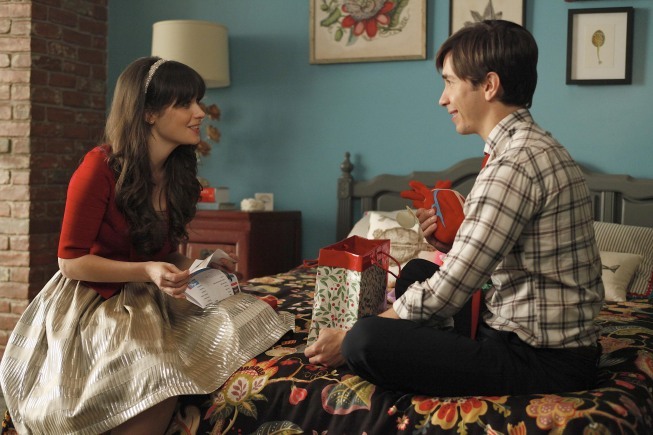 Photo: ©2011 FOX Broadcasting. All rights reserved. Accessories, including blue glass grapes, chip n dip platter, desk & table elements: Many thrift shops! 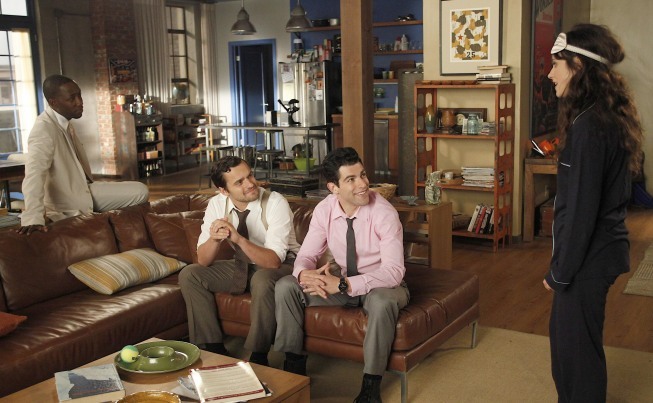 Winston [Lamorne Morris], Nick [Jake Johnson], Schmidt [Max Greenfield] and Jess [Zoey Deschanel].Photo by Greg Gayne ©2011 FOX Broadcasting. 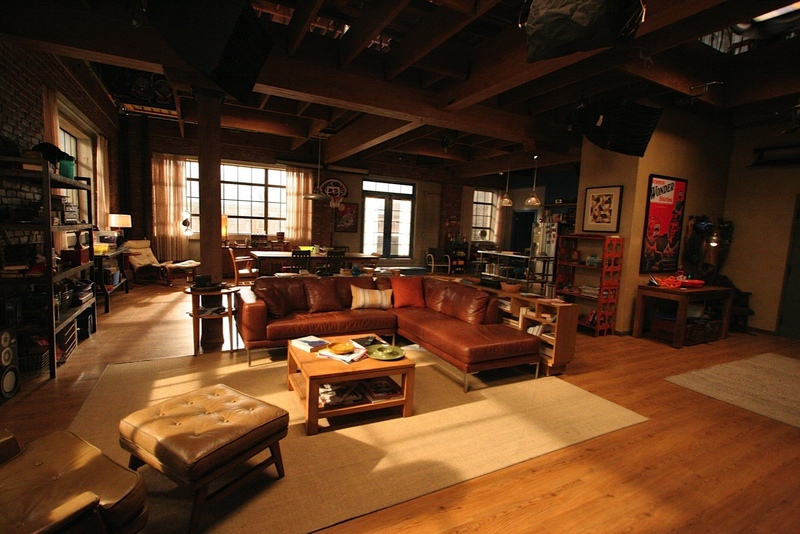 The main room was designed for the pilot by Sage. For the series, Shirkes and Whetstone were able to further define each character within the space, expand on the living-together aspect and keep the set evolving…all within a tight schedule! Jess is a modern vintage-chic girl who is inspired by science and the world of nature. Shirkes incorporated both aspects with the signature bed cover, artwork and the Nouveau-style branch lamp. The palette speaks of seas and earth, highlighted by floral brights, hand-crocheted pieces and crafts materials, including skeins & spindles of yarn & threads. An old portable record player immediately cues us to Jess’s taste in music. 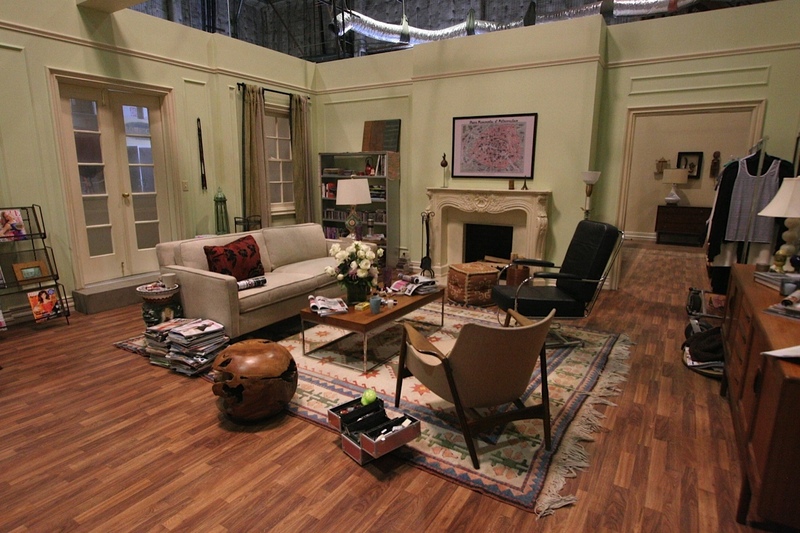 Photo by Greg Gayne ©2011 FOX Broadcasting. Shabby-chic red side table: Wertz Bros.
Carved elephants, duck decoys: Wertz Bros.
Jess [Zoey Deschanel]and the landlord [Jeff Kober]. 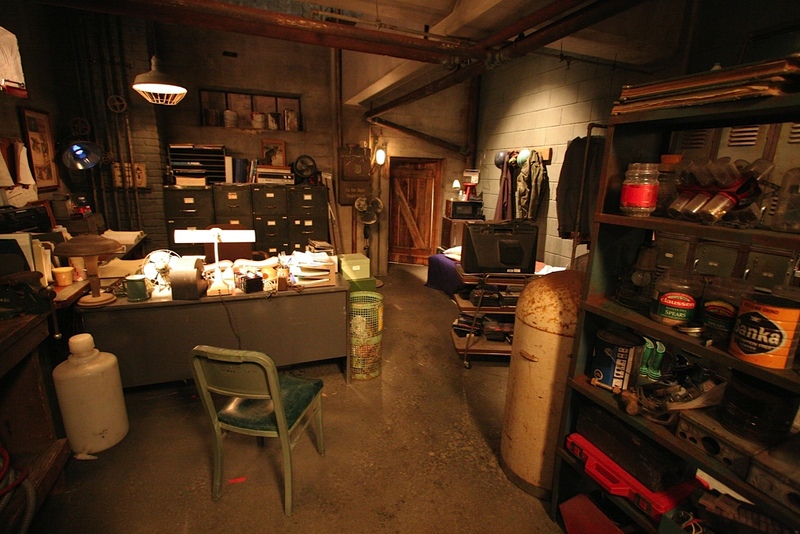 Photo by Greg Gayne ©2011 FOX Broadcasting. All rights reserved. When Jess brings cupcakes to the landlord’s basement office, we discover a densely filled place as claustrophobic and dark as the loft is open and light. 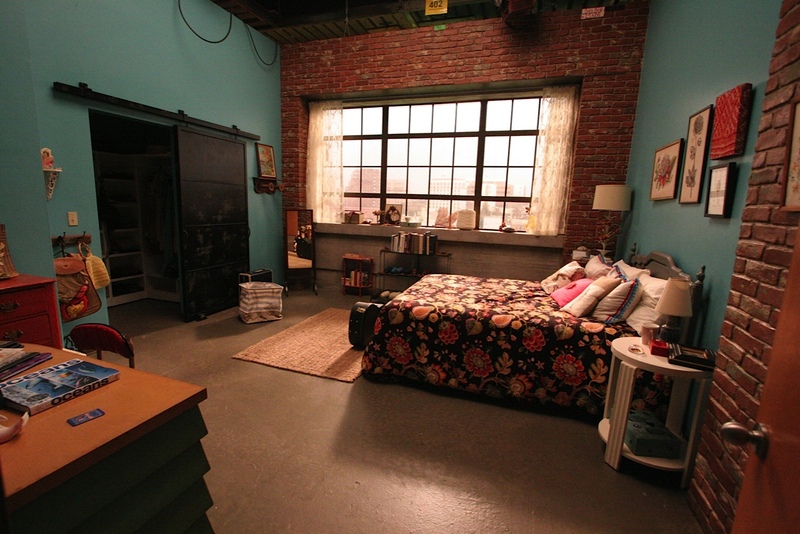 The list of set dressing pieces would be endless, but some of the major resources were SDSA business members EC Props, RC Vintage and Sony. Luckily, “Michael and I share a very similar aesthetic so we are able to collaborate quite easily. We have worked together for 6 years on many other shows so we are comfortable with each other in terms of creative process. And I have a great crew. Buyer Michele Munoz SDSA and Art Department Coordinator Jon Bush are invaluable, as are my fantastic Leadman, Chris Fielding and Set Dressers Rob Rudas, John Kirk, Pete Kang and Ron Patterson. We worked with 20 different directors this season, so you get a great mix of different personalities! 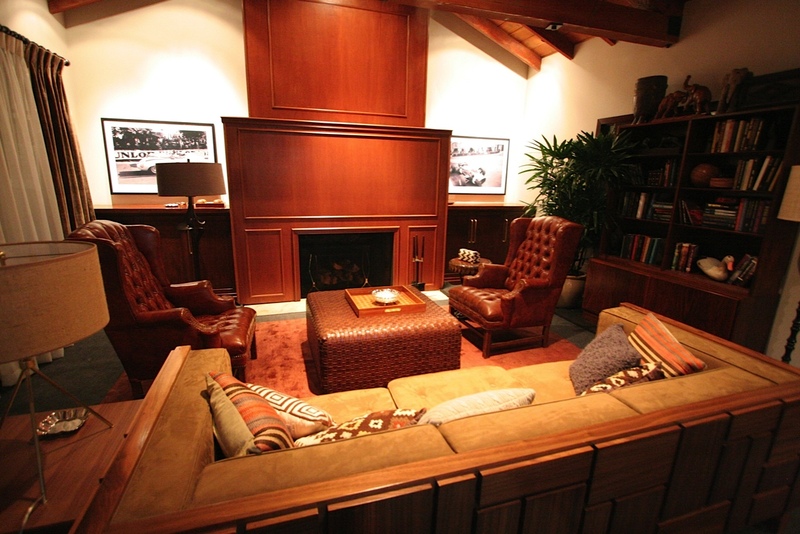 Shooting at the Fox backlot allows for moments of respite from the high-intensity production process. “I love driving around the lot in the golf cart!” Shirkes reveals. “I love the wind in my face…so relaxing.” At least, for that moment!